Whereas, section 307.12 (E) of the Ohio Revised Code (ORC), as amended by House Bill 226, requires a board of county commissioners to adopt, during each calendar year, a resolution expressing its intent to sell personal property by Internet auction. All auctions shall be conducted by a representative of the Board, that being: GovDeals, a Delaware corporation having its principal place of business at 5907 Carmichael Place, Montgomery, AL. 36117, (800) 613-0156. This representative can be found on the Internet at govdeals.com or by viewing the Sandusky County website at www.sandusky-county.org and accessing the GovDeals link. Any property listed and sold by Internet auction shall be on an “as is” basis. The Board of Commissioners expressly disclaims any and all warranties of any kind, whether expressed or implied. The bidder purchases the property at his or her own risk. 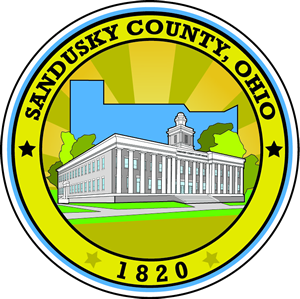 In no event shall Sandusky County, Ohio, its Board of Commissioners, its officers, employees or agents be liable to a bidder or any other person or entity for any claim, damage or loss whatsoever. The number of days of bidding on the property prior to sale, as specified in ORC 307.12, will be at least 10 days, including Saturdays, Sundays, and legal holidays.